﻿ How technology is changing the way customer eat at a restaurant? How technology is changing the way customer eat at a restaurant? With the mobile technology you can search endless options, cross-referenced every which way. On the weekend evening, a typical fine-dining establishment might expect 25 percent or more of their reserved customers. By now technology has touched every aspect of our lives, with the coming out of mobile devices on the table, online reservations, social media and new payment methods; technology has infiltrated the food and restaurant industry like never before. These advances have made an impact everywhere, but one of the places we’re seeing more and more technology is in the food and restaurant industry. The rapid evolution of software in the past decade has seen many tech innovations when it comes to dining out. 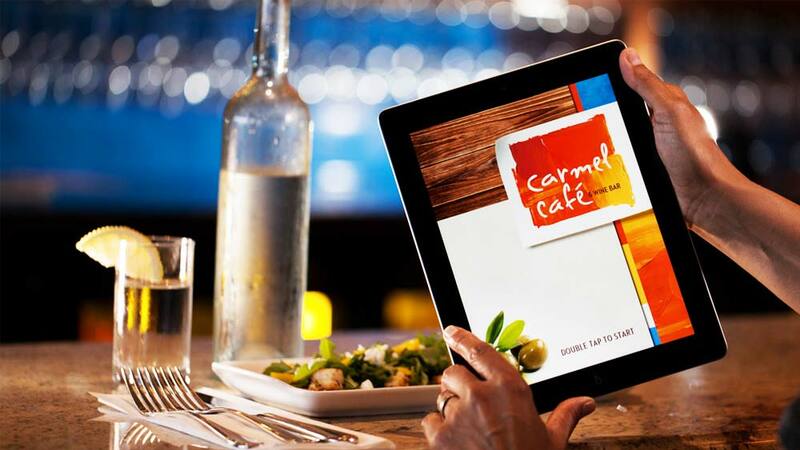 Mobile technology is revolutionizing the way diners interact with restaurants. Although new apps are increasing, accelerating and reforming the dining experience, the ubiquity of smartphones can eclipse some of the very reasons we eat out. “Technology is like “Duck’s Effect”. If you see a Duck in a pond, duck will look beautiful, calm. But inside she is paddling away like crazy to stay there. We have 19 technology partners and still going on. Technology is disruption, but it helps us to expand in many ways,” shares Rahul Singh, Founder& CEO, The Beer Café. With the mobile technology you can search endless options, cross-referenced every which way. On the weekend evening, a typical fine-dining establishment might expect 25 percent or more of their reserved customers. But the online reservation services has more than 28,000 member restaurants and seats more than 12 million diners a month, sends hand-slapping emails to no-shows and deactivates users after four personal fouls in a year. The digital tablets at tables allow one to order food and drinks without so much as consulting the waiter. The time saving technology is being adopted primarily by both casual and chain restaurants, where diners seldom need servers to expound on the laminated menu. Moreover replacing menus, tablets have the potential to help hosts deal with incoming customers who may have reservations. This can be accomplished through connecting the restaurant’s website to some form of online reservation system using a service like apps or a website and then simply using the tablet as a means of checking out who is scheduled when. Currently, pick a restaurant, make a booking, order or pay your bill is not a problem. For ex: restaurant reservation platforms, like Dineout can offer more nuanced guidance for the discerning diner. These apps help you in booking the restaurants of your choice avoiding the long queues at the restaurant. " The most important thing in today’s time is to keep the customer happy and loyal and the solution is the technology integration to create the ecosystem enable to go beyond,” says Vivek Kapoor, Co-Founder, Dineout. Another app, Happy hour apps like DrinkOwl (free, iOS and Android) and Happy Hour Finder (free, iOS and Android) can steer you to the most happening bars and most alluring drink specials around the country. Adding to the same line, Sharad Sachdeva, Chief Executive Officer, Lite Bite Food, Pvt Ltd points, “As technology plays an important role after certain point of time you cannot imagine your growth on manual system so definitely technology is required. So, we adopted the system and also implemented it”. Technology is only getting better day by day. It allows customers to find restaurants, rate them, and decide where they want to spend their hard-earned money when they go out to eat. It also allows restaurant owners to be more efficient and effective in the areas they feel can be streamlined by hardware and software. Entrepreneurs & Educated Consumers will Disrupt th..